Vern Williams and Ray Park both grew up in the Ozarks of Arkansas, about five miles away from each other, but never met until moving to central California in the 1950s. Their memorable live performances and recordings in the ‘60s and ‘70s largely formed the basis for the bluegrass repertoire in California, and they became powerful influences on many aspiring bluegrass musicians.Their intensity and integrity left no doubt that they were the Real Deal. 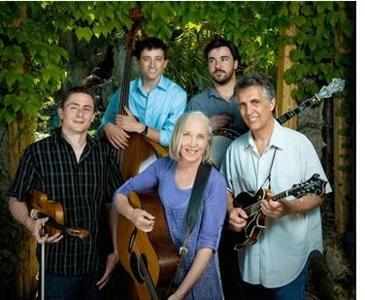 For fiddler, guitarist, singer, and songwriter Laurie Lewis, the traditions of bluegrass and folk aren’t so much tools in her hands, but burning sources of inspiration that have driven her through a 30+ year career at the forefront of American roots music. A pioneering woman in bluegrass, Laurie has paved the way for many young women today, always guided by her own love of traditional music and the styles of her heroes that came before. Although she’s won a Grammy for her interpretation of Bill Monroe’s music, and is considered a masterful proponent of Ralph Stanley’s singing style, she has crafted the music her own way, by following her personal muse and remaining open to new influences. Please join David Thom and Swollen Records in providing support to those suffering the devastating effects of Hurricane Sandy by making a donation towards Bluegrass for the Rockaways. Of all the areas affected, the Rockaway Peninsula and coastal areas of Long Island are among the hardest hit. Thousands of people have lost their homes and possessions and are living in emergency shelters. Nashville, TN -- An initial list of performers and presenters for IBMA’s 23rd International Bluegrass Music Awards has been confirmed for the event, which kicks off at 7:30 PM CST on Thursday, September 27. The Awards Show, held at Nashville’s historic Ryman Auditorium, will feature performances and award presentations from some of the genre’s brightest stars, including Russell Moore & IIIrd Tyme Out, The Gibson Brothers and Steve Martin & the Steep Canyon Rangers. The International Bluegrass Music Association has announced their Awards Press Conference will take place on Wednesday, August 15th. Junior Sisk and Ramblers Choice are honored to have been invited to kick off the event with a performance of several songs from their latest CD, The Heart Of A Song. The press conference is to announce the final nominees for this year's IBMA Awards and will take place at the Loveless Barn in Nashville, Tennessee. The press conference begins at 5:00pm CST and will be broadcast live on SiriusXM's Bluegrass Juntion. You may also view in it online through our Facebook page on LiveStream. The nominees will be announced by Sonya Isaacs and Bradley Walker. 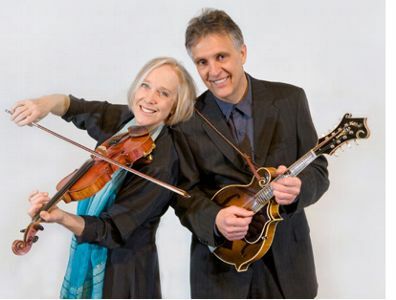 Nashville, TN -- A powerful and delightfully unusual pairing of bluegrass superstars -- Laurie Lewis and Del McCoury -- will host the 23rd Annual International Bluegrass Music Awards this year, on Thursday, September 27, 2012 at 7:30 p.m. at Nashville’s historic Ryman Auditorium. Nominations for the International Bluegrass Music Awards will be announced at a special press conference scheduled for Wednesday evening, August 15, at The Loveless Barn in Nashville. Veteran family rafting outfitter ECHO River Trips has announced the 2012 lineup of their unique themed Rogue River rafting trips and Middle Fork Salmon rafting trips. The 2012 lineup of ECHO's themed family rafting trips includes Bluegrass Music (Laurie Lewis and Tom Rozum), Yoga retreats, and wine tasting on Oregon's Wild and Scenic Rogue River, as well as trail running and kayaking on Idaho's Middle Fork of the Salmon River. Boston, MA -- The Boston Bluegrass Union (BBU) is kicking off their 37th concert season in fine style on Saturday, November 19th with Laurie Lewis and the Right Hands along with Della Mae at the National Heritage Museum in Lexington MA. This should be a super show and we hope you can assist with getting the word out. Lake County, CA -- The sixth-annual Old Time Bluegrass Festival will be held at Anderson Marsh State Historic Park in Lower Lake on Saturday, September 10, 2011. This annual event brings together local and regional musicians for performances on two stages, as well as a full schedule of musician workshops led by pros Laurie Lewis, Steve Werner, Pat Icker, Jim Williams, Andy Skelton, Don Coffin, and others throughout the day on such topics as banjo, fiddle, and flat-picking techniques for guitar. Attendees are encouraged to bring their instruments for workshops and informal jam sessions behind the ranch house.